Should You Become Your Parents' Caregiver? Home » Personal Finance » Retirement » Should You Become Your Parents' Caregiver? As our parents age, more and more of us are becoming family caregivers — and often filling the role with little preparation or planning. Nobody wants to think about their parents being unable to care for themselves — so often, we simply don’t. But this lack of planning can make caregiving decisions even more difficult, forcing you to make choices at an already stressful time — when care is needed immediately. Should you become your parents’ caregiver? That’s a deeply personal and nuanced question that you can only answer for yourself — but this article addresses some of the factors you should consider. What Does Your Parent Want? If your parents don’t need care yet, now is the time talk to them about it. Do you have long-term care insurance, or another financial plan in place in case you need care? What would you ideally like to happen if you need long-term care? Where would you like to live, and who would you like to care for you? Don't forget to chime in with your own wants, needs, and feelings, too. While becoming your parents' caregiver can be rewarding, it can also be a significant emotional, financial, and time burden. But by being open and honest about your needs and feelings, you can work with your parents to create a plan for care that benefits everyone. In some situations, it is possible for you to get paid to be your parents' caregiver. Money can come from the government, from your parents' funds, or in rare cases, by long-term care insurance. If your parents are on Medicaid, check to see if their state allows family members to be paid as caregivers (many states do). For other possibilities, such as being paid directly by your parents, it can be useful to speak to a financial planning professional. There are also other costs to consider. For example, if you move from full-time to part-time work in order to take care of your parents, you might not just lose part of your wages, you could also lose your health insurance and other benefits afforded to full-time employees. When making your caregiving decision, it can be helpful to create hypothetical budgets for a number of different scenarios — providing care yourself, hiring an in-home health aid, etc. — so you can easily compare and contrast the pros and cons of each. Looking after a parent allows you to get to know them better. You are often able to spend more quality time together, talking and learning from one another. You can ask them the questions you've always wanted to ask, and hear stories of their life. And while you're providing them with support, it's also possible that they can provide you with support as well. Obviously, it will depend on their condition, but your parents might be able to help with childcare or household tasks. In the end, whether or not you care for your parents is a deeply personal decision — and one worth spending a lot of time thinking about. Do you currently care for your parents, or do you plan to? Why or why not? This article was made possible by the support and inspiration from Genworth Financial, a S&P 500 insurance company with more than $100 billion in assets. 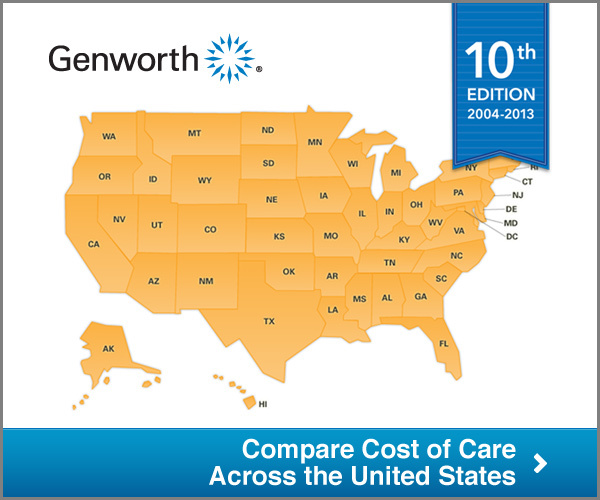 Check out Genworth's website for a guide to planning for long term care. My wife took care of her mother at the end and she has been so grateful for that experience. It was life changing and she felt blessed that she could do that. It gave her peace. There's another option. In-home care is cheaper, by far, than a nursing home. My grandparents sold their house and moved next door to my parents When they needed help, they hired a full-time caregiver who did light housework, meal prep, etc. When they needed more people nearby, for safety, they sold their house and built a suite with living area onto my parents' house. Eventually, they had one full time person while my parents were at work and then an additional person come in at bed time to change my grandfather's adult diaper (he suffered from profound dementia) and put him to bed. That was still cheaper than assisted living, and the fact that my grandparents were no longer able to do what they once did largely counterbalanced the costs, too. Their quality of life was way better than in a nursing home, and they were able to be around family and saved a ton of money. My parents have recently begun taking care of my grandparents full-time (in my parents' house). We were not aware that they may be able to get paid to do this. It would help tremendously if some of the costs could be deflected, as my mother has quit her job in order to stay home and care for her parents. Can you provide any tips on where to get information about this? My grandparents are not on Medicaid, but have Medicare and supplemental insurance.